Putting on engaged shoes seems to be the desire of many people, and yet after going through the experiences of several people, I realized the struggles involved in the whole ordeal on both sides of the matter. While social media can be good and helpful, I don’t truly believe it’s done very many healthy things concerning the relationships between those who are single and those who are dating/engaged. So today, we are going to start by giving the whole situation a healthy dose of enlightenment! “Mutually, we had seen so many broken friendships and hurt come from engagements and marriages that we communicated to each other, “We don’t want to lose our friends just because we got married or engaged. That’s not the way it should be. Here someone has observed the common unraveling of friendships and has purposed with their significant other to do something about it! NOPE, it usually isn’t life changes that divide us. It is often ourselves that do the dividing. While these two individuals worked together to bring about strong friendships, there are other cases in which this doesn’t happen at all. I think a lot of people would agree with these thoughts! There should be a life outside of a dating/engaged/married relationship, but so often something like this will happen. Be gentle with your friend who is in that relationship. It is easy to swiftly judge her for neglecting or forgetting you, but remember there is another person who is a big part of her world and they are both likely learning how it all fits together. Be patient with your newly engaged/married friends who are learning how this new life of theirs will fit together. It’s easy to blame the happy, engaged couples on social media and in real life for the friendships that have fallen to the wayside. While this can be the case, it is important to note that friendships don’t just fall apart as a result of an engaged couple. The single may be just as much at fault. It seems to me when people get engaged, two things tend to happen. Either the engaged person temporarily “forgets” her friends (that always frustrates me!) or certain friends of the engaged person close up and become stand-offish. I wish this wasn’t the case. It doesn’t have to be. And it hurts when friends start to close up just because you got engaged! If both parities stayed open then both parties could maintain a strong friendship despite life changes. It doesn’t have to be difficult at all. We just have to lay aside our pride and pain and talk to one another!!! On top of this, even if you’re engaged you still have deep life struggles. Sometimes people think an engaged person is just full of butterflies and gumdrops. But it’s not true. Engaged or not, a person is a person and a lot goes on in the heart. BE OPEN with one another! When you get engaged, do what it takes to keep your old friends and treat them the way you would want to be treated. Above all, don’t forget them! If you’re watching your friends get engaged, do what it takes to keep those old friends and treat them the way you would want to be treated. Above all, don’t forget them! The solution is the same on both sides, because we are all people. We want to be kept. We want to be loved, and we don’t want to be forgotten! 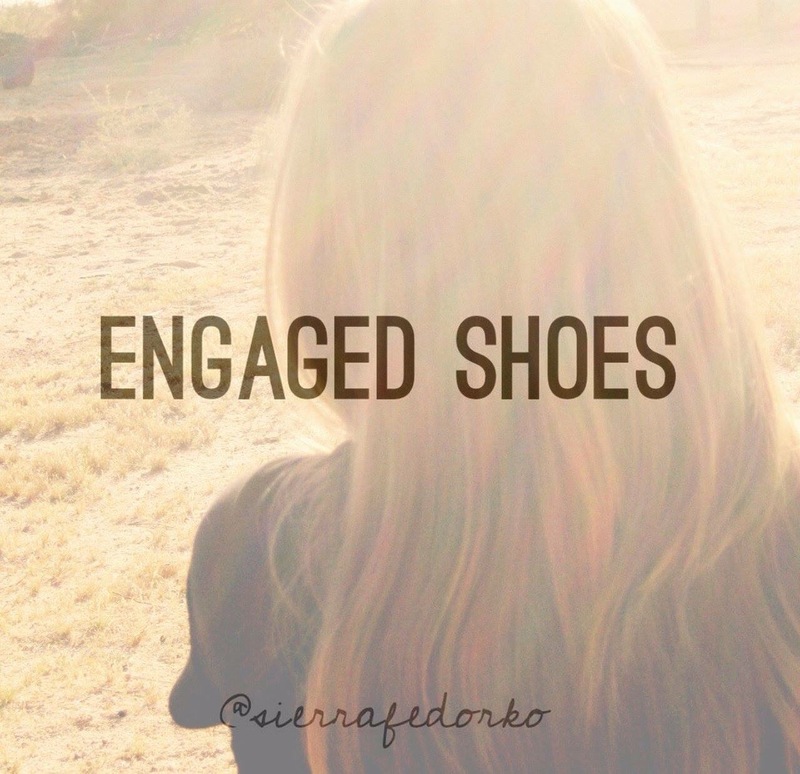 So are you wearing the engaged shoes? Remember your friends! Are you not wearing the engaged shoes? Remember your friends! This is really good and helpful!! I really liked the quote about our tendency to think engaged people are just “full of butterflies and gumdrops.” That’s a really good insight and reminder for me to be careful about that! I’m so glad you found it helpful!! Thanks for commenting and encouraging me. 🙂 Today’s post is going to be GREAT (I can only say that because a lot of people wrote it…HA! ).